Give the gift of choice to your outdoor enthusiast with a Kirk’s Mountain Adventures gift certificate! Enter in the amount of your choice. You can send the certificate to yourself or anyone else! 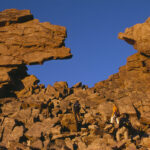 Category: Guided Longs Peak Trips. Tags: Guided Hikes, Hiking Trips, Rocky Mountain National Park Guide. Give the gift of adventure to your outdoor enthusiast with a Kirk’s Mountain Adventures gift certificate! Use it in our retail store or online. Book an epic trip up Longs Peak or embark on a winter snowshoeing trip. Give the gift of the Rocky Mountains!